Confront your fears, that’s the message in this new adventure game, a mix of hidden object and point and click adventure. G5 and Artifex Mundi continues their highly popular series of adventure games with this psychological based affair where the title character, Alice, has to confront her fears in the real world by solving issues in an alternate universe. It starts off well, with the background to Alice’s predicament. She hates her job and wants to make a change but is scared to do anything about it. In a ‘Life on Mars’ style twist, she has an accident on the way to meet a client and finds herself in a shadowy dimension where her fears form puzzles to solve. It’s an interesting premise made good by an interesting plot and fairly good voice acting. Fans of the genre will, of course, be very familiar with the gameplay on offer here. 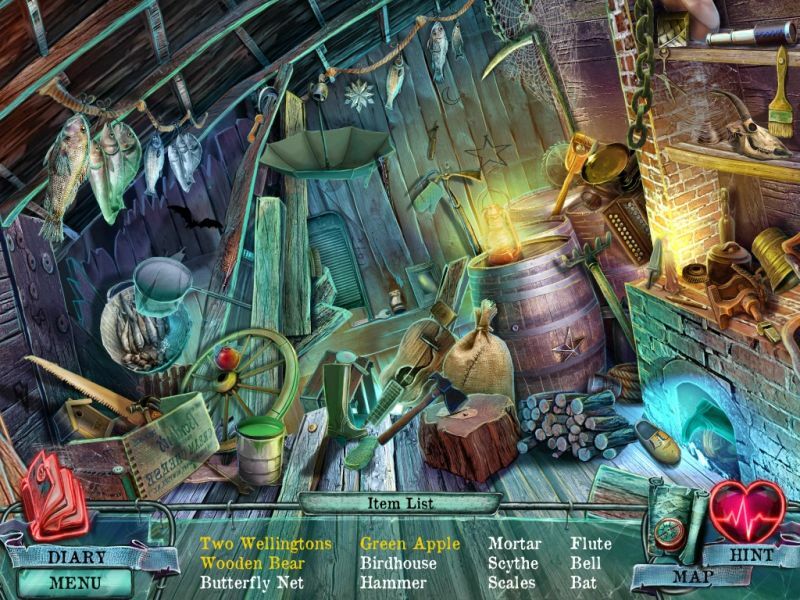 Puzzles such as finding out how to fill a sink, fix a clock and open locked areas sit side-by-side with hidden objects to find and simple match 3 games and it works just as well as it has for the last few years. The hand drawn backgrounds continue to impress with plenty of detail to take in as you tour the strange land and try to find your way back to the real world. This and the interesting story will keep fans of the genre happy, though I found the ending was far too abrupt and it felt as if it had been cut short for some reason. Perhaps there is a sequel in the works? Those who like G5’s previous efforts will have plenty to like here. The story is thoughtful and the puzzles interesting. It would have been nice to see a little diversion from the same old puzzles so that it felt different enough from previous games, though.